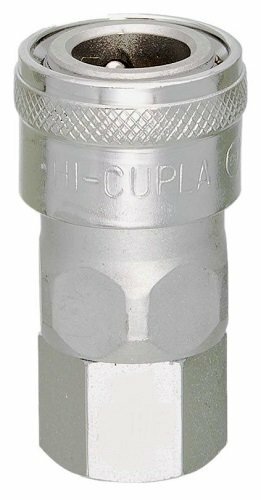 Hi Cupla 40SF Fluid couplings are indispensable in providing connections in systems that involve the flow of air, water, oil, or gas. Nitto Kohki couplings are distinguished by their high quality and durability. The safe, easy one-hand connection and disconnection enables superior operability. The built in automatic open and shut Valve provides high flow, easy flow control and realizes a perfect seal.